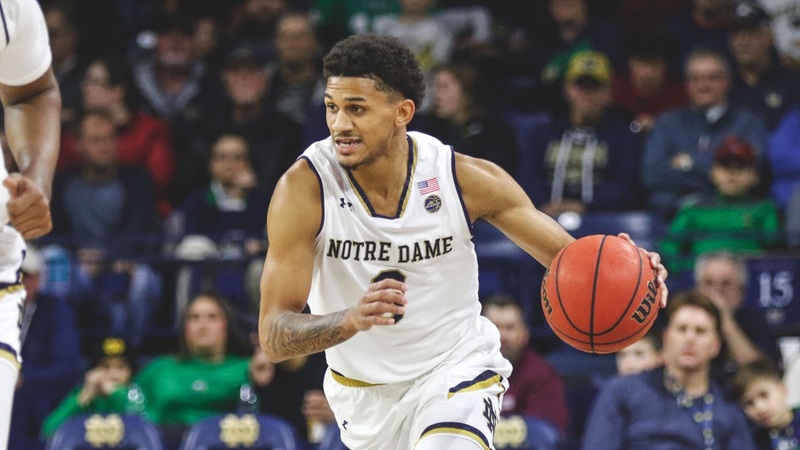 Notre Dame point guard Prentiss Hubb is quietly having a solid season for a true freshman. Yes, there was the shooting slump, but the 6-foot-3 Maryland native has broken out of it. Hubb has scored in double-figures in three of the last six games, including a career-high of 18 points at North Carolina. As he gains more experience in ACC, the more confidence Hubb has gained. In fact, Hubb broke out against Boston College on January 12th for 16 points, six rebounds and five assists. He also hit the game-winning free throws with seconds left to play. Experience is always a keyword at this level of competition and Hubb’s ascension could very well be attributed to just that. When Hubb arrived in South Bend in June, it was unclear if he was going to be able to play this season after tearing his ACL last winter. Those questions were answered when Hubb was cleared in just in time for fall practice and he hasn’t looked back. Hubb has also impressed head coach Mike Brey with his ability to play without any side effects of the injury. The season is far from over, but Hubb knows his head coach is right. This offseason will be a significant one for him as he can take his game to the next level by simply being healthy.